Google Drive now lets you manage and edit documents saved in Google Docs offline. 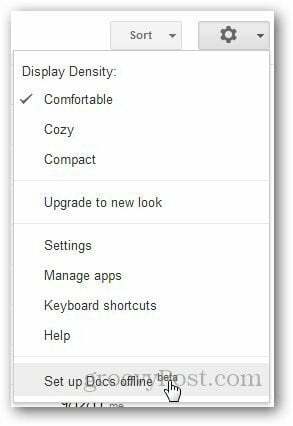 Here’s how to set up and use this new feature from Google. 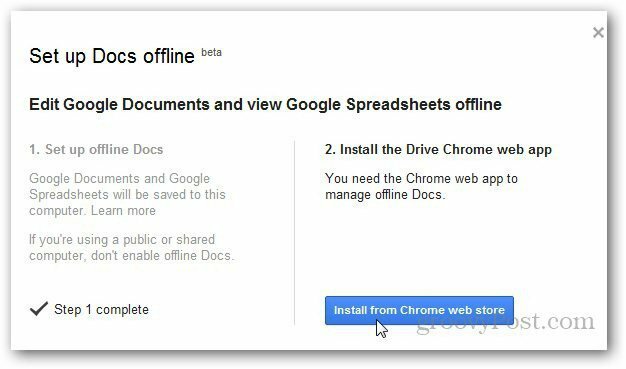 Google Docs Offline only works in Chrome, and you’re able to see all documents, presentations, drawings, spreadsheets etc. But while you can edit documents offline, spreadsheets are not available for offline editing at the time of this writing. 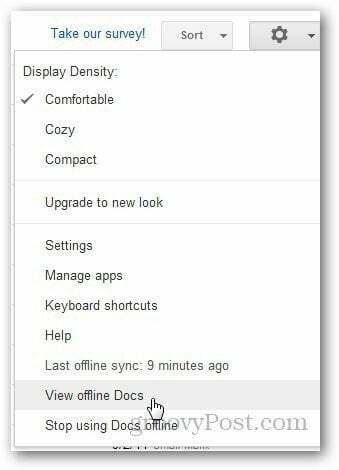 Launch Chrome and log in to your Google Docs account, click on the Settings (gear) icon and select Set up Google Docs Offline. Click on Set up Google Docs Offline. It opens a new popup. Under Step 1 heading, click the Enable Offline docs button. After enabling offline mode, it asks you to install the Google Drive Web App for Google Chrome so that you can manage files offline. You’re redirected to the Chrome Web Store. 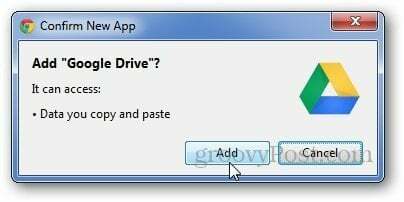 Click Add to Chrome to install the Google Drive App. Click the Add button when it asks for confirmation. 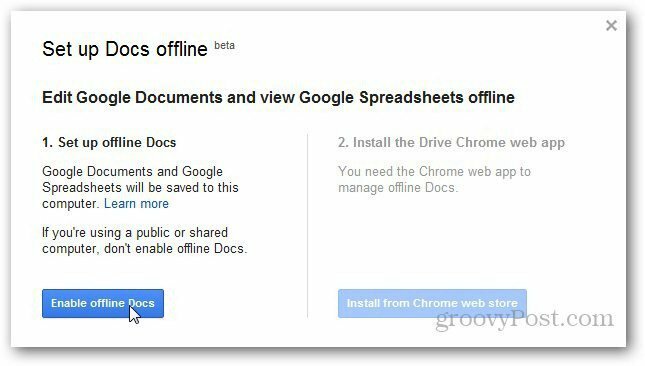 Once installed, refresh Google Docs and it shows a message that the service is syncing recently viewed documents and spreadsheets. 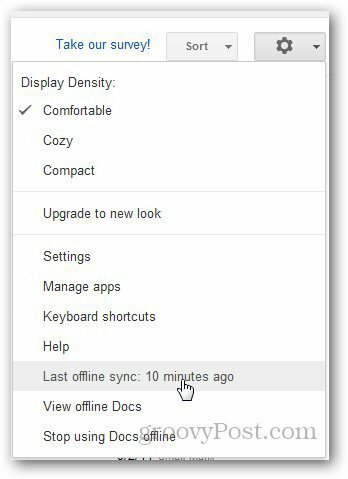 Click the settings icon again and select View Offline Docs to get a list of documents that are synchronized with Google Drive. In Settings, it shows the last time you synced your documents with Google Drive. If you want to sync them again, click on Last Offline sync and it will synchronize the newly edited documents. 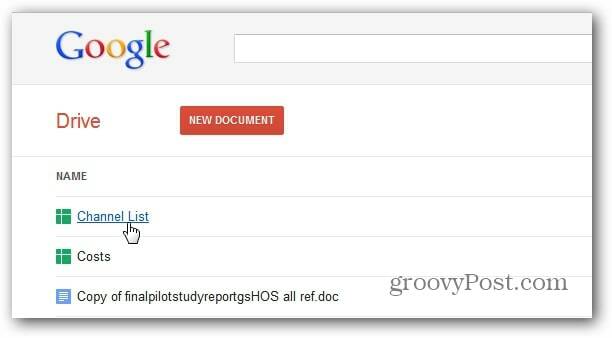 Now, you will be able to view docs offline by going to docs.google.com. It’s recommended that you enable Offline Docs on your personal computer and not a publicly shared computer. 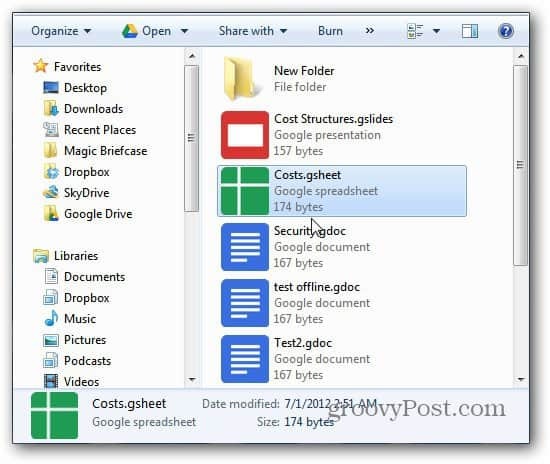 You’re Google Docs will also be available in your Google Drive on your computer.